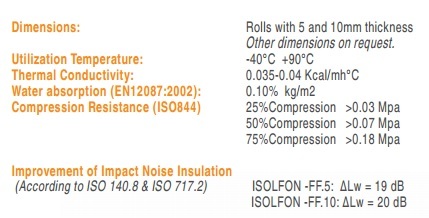 ISOLFON-FF is easily installed in a great range of applications where impact noise insulation on floating floors is required. 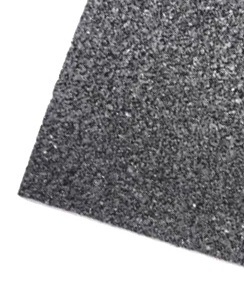 ISOLFON–FF is easily installed in a great range of applications where impact sound insulation on floating floors is required. ISOLFON-FF is produced from Expanded polyethylene cross linked foam, with density of about 28 kg/m3, which takes the shape of a rolled sheet. The structure of closed cells offers a greater deflection and rebound (after tension and release) due to the fact that air is trapped in the cells, which makes ISOLFON FF an ideal solution for floating floors in cost sensitive projects. Additionally it offers perfect resistance in water and humidity absorption. Expanded polyethylene is flexible and compressible, doesn’t oxidize, is not affected by fungi or bacteria and is perfectly compatible with common building materials such as concrete, plaster, lime and sand. Their ingredients are eco-friendly and do not contain HCFC and harmful chemicals, which makes it applicable for floating floors in residential applications. 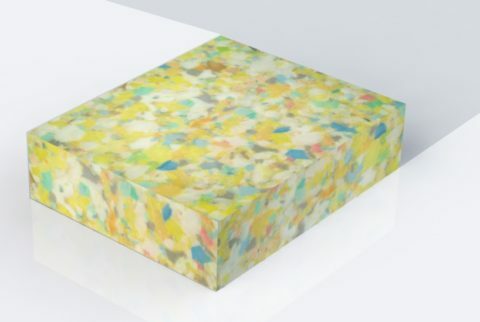 Expanded polyethylene sheets can be applied underneath a number of different floor finishes, such as engineered laminated flooring in floating floor construction, laminate timber floor, concrete screed floor with ceramic tiles / marble finish, carpet, etc. 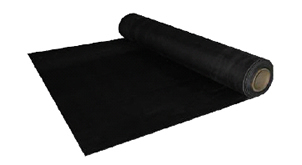 ISOLfon ReRub is produced with a combination of recycled elastomeric compounds, coming from the recycling end of life tyre rubbers (ELT), bonded with polyurethane glue. 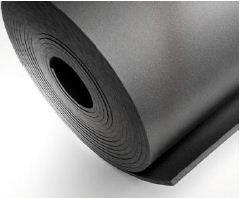 ISOLFON-ReΒond It is produced from recycled flexible polyurethane foams pressed & bonded with polyurethane glue.